Entertaining guests at your Aurora home brings up the need of landscaping for a Backyard Entertainment Space. The proper landscaping can help you maximize the impact of your living space. Make sure you take the whole environment into consideration as you plan your space. Sometimes you need a comfortable place for a stay-cation. Sometimes you need to be able to play host. There are a number of things you can do to maximize your space and create a compelling environment that your friends and family are sure to enjoy. 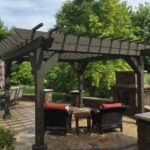 Consider these factors as you plan your backyard entertainment space for your Elburn area home. Square footage – As you plan the size of your patio, do so with potential parties and gatherings in mind. If you think you might play host to a large group for birthday parties, holidays, or any other occasion, make sure your guests won’t be cramped into a small space. 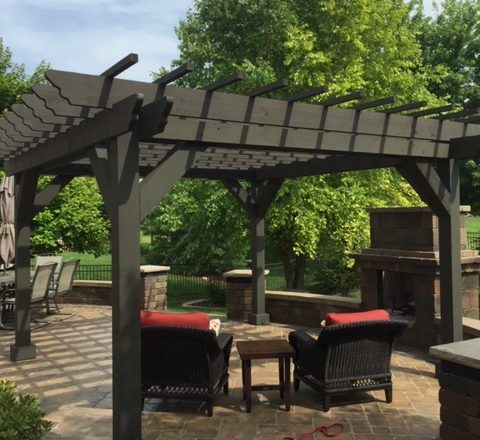 Your Backyard Entertainment Space should reflect these considerations. 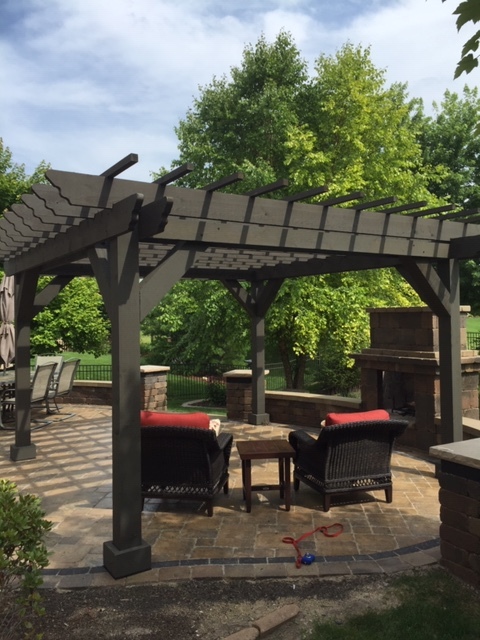 Built in amenities – Having a patio is nice, but the convenience of a built in fire pit or outdoor kitchen can turn a good space into a great space. An outdoor kitchen gives you the feeling of grilling, with more options. It also allows you to play host without having to go in and out of the kitchen, continuously leaving your own party. Balance – Whatever you do for the patio, make sure it meshes with your house and the natural softscapes you have in the yard. If there’s a pond or some in the back, make sure there are some vantage points. You can also get creative with paver placement to create patterns your guests will enjoy. Adding a pool to accompany your patio will make sure your guests stay entertained. Are you looking for custom landscape ideas for your Backyard Entertainment Space? It may help to consult a professional landscaper for individual ideas. Make sure your back yard is somewhere your guests can stay entertained!